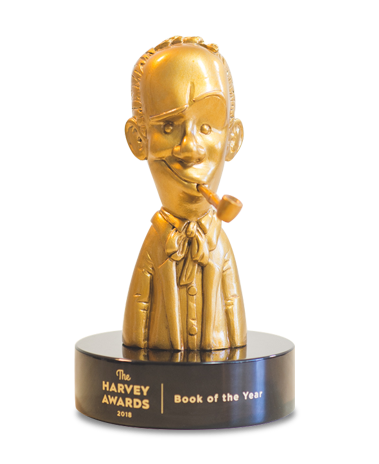 For these awards, Bennett Awards worked with event organizers to create a new custom award design that features a sculpture of the award’s namesake, Harvey Kurtzman (1924 - 1993). Kurtzman was a was an American cartoonist, writer, editor and pioneer of comics. He is probably best known for creating the trailblazing and revolutionary humor magazine MAD in 1952 before eventually leaving the publication in 1956. However, his influence extends far beyond that legendary 28 issue run, with his work continuing to inspire generations of cartoonists worldwide. Following his work on MAD, Kurtzman would go on to create a variety of seminal works of the medium including Trump, Humbug, Little Annie Fannie, The Jungle Book and Help! During this time, he helped to discover and mentor a number of diverse talents including Terry Gilliam, Gloria Steinem, Gilbert Shelton and Robert Crumb. Known for his social satire and pop culture parodies, Kurtzman is looked upon as one of the most influential pioneers of comics whose towering & iconic shadow still looms large today. 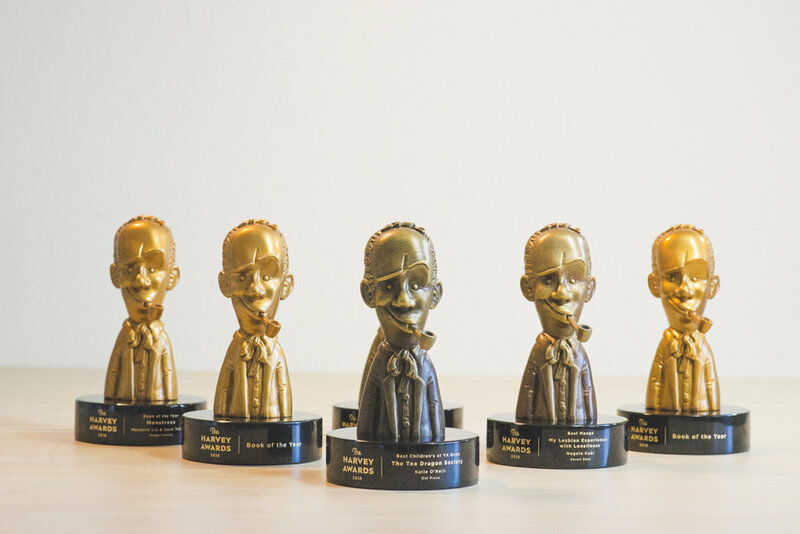 These custom sculpture awards of Kurtzman were hand-sculpted by Bennett Awards artist James Shoemaker. The award sculptures were cast in resin, and featured two finishes to differentiate two different categories of awards. The majority of the awards were finished in dark bronze, but the award for the ‘Book of the Year’, known as the ‘Golden Harvey’, was finished in gold. All of the sculpture awards were mounted on circular marble bases. 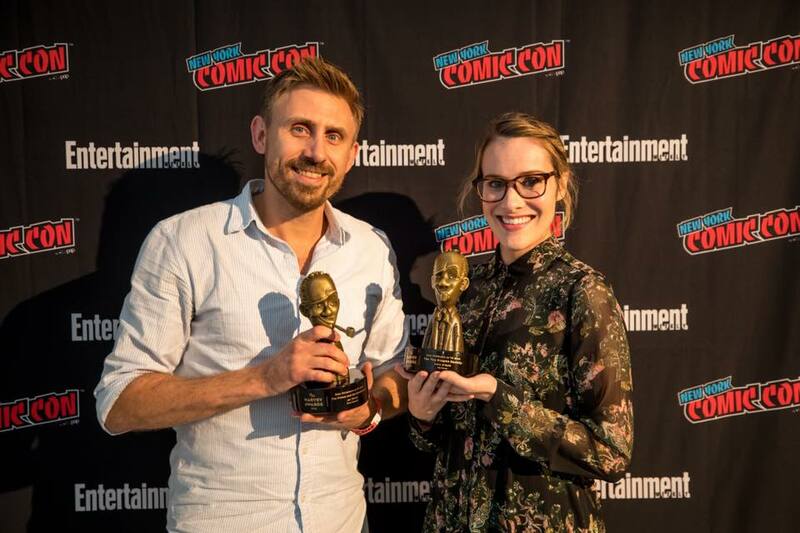 These unique recognition awards were presented to recipients at the 30th anniversary of the Harvey Awards, held October 5, 2018, in New York City at the 2018 Comic Con, the largest pop culture gathering in the United States.